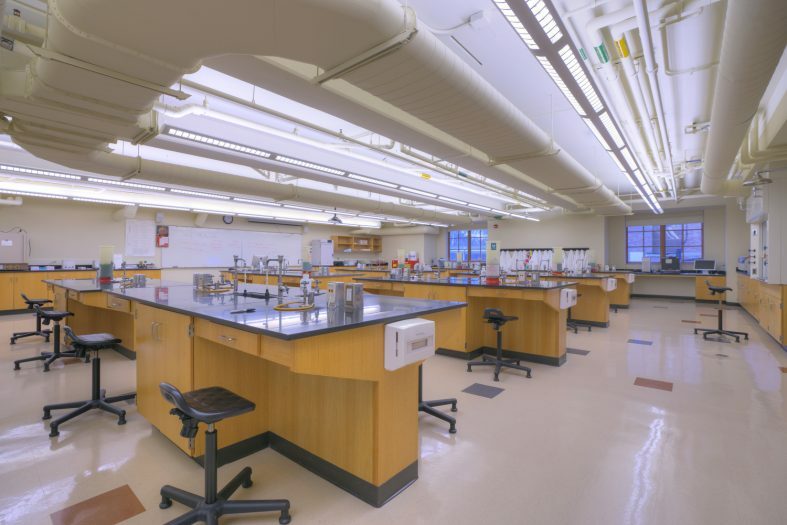 Students required an updated science facility as well as additional laboratory and support space to improve science study opportunities at this small, rural liberal arts college. The original 1967 facility received new chemistry, physics, micro-biology, cell biology, genetics and water labs. Existing offices and support spaces on all three floors received minor or major remodeling. A prominent new greenhouse conservatory with automatic ventilation and sunscreen controls provides for quality biology specimen display. 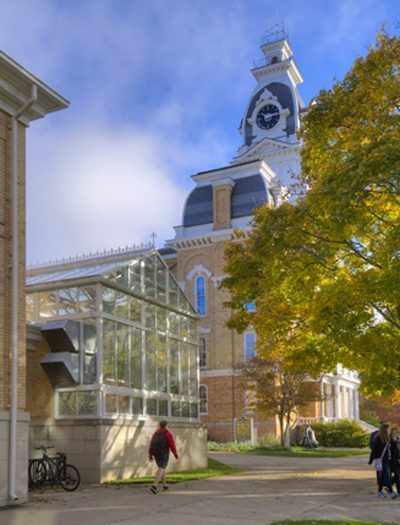 Wrapping three sides of the existing building, the addition transforms the exterior design to complement the traditional character of the main campus. New mechanical and ventilation systems are energy efficient with economizer mode settings. Electrical system upgrades include advanced technology for all laboratories, lecture halls and classrooms. 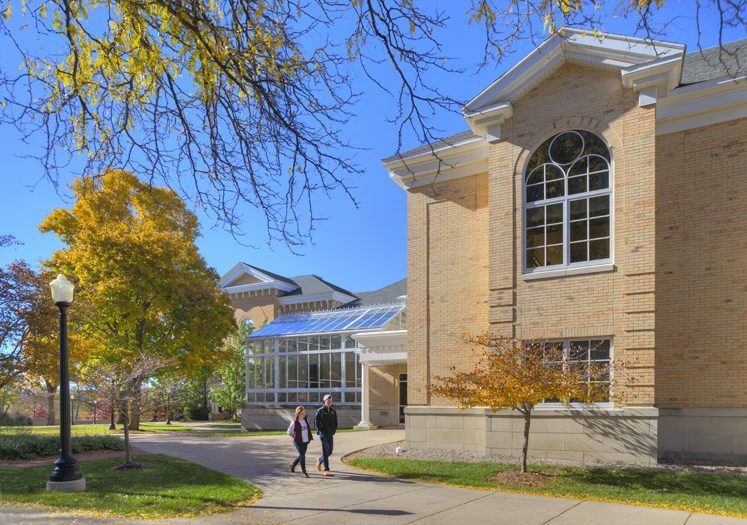 Wrapping three sides of the existing building, this addition transforms the exterior design to complement the traditional character of the main campus.